Don’t you feel good when the other person smile on receiving a gift? Even I love gifting and receiving gifts. So why not gift something to yourself and feel the love. Self love is about loving your own company. You shouldn’t get bored when you are single and have no one to celebrate your valentine with. I decided to go on a hunt to find a perfect gift for myself. This was like a mission to me because I wanted to buy something simple but unique also. I really wanted to avoid a gift gaffe because I didn’t want something which will not be of any use later. I wanted to buy something which will make the gift look like special, seen and wanted. I started searching in the internet and then I found about IGP.com . They have a variety of giting options for every occasion. The site impressed me with its variety and its gifting categories. They have gift for every single occasion and you don’t have to scratch your head when you are looking to buy a gift for someone. I am little choosy about my gifts. I always want something which will be of use to me. I was scrolling through their website and found a good deal on cosmetics and pen. I love make up and also love writing so I thought this will be the best gift for myself. 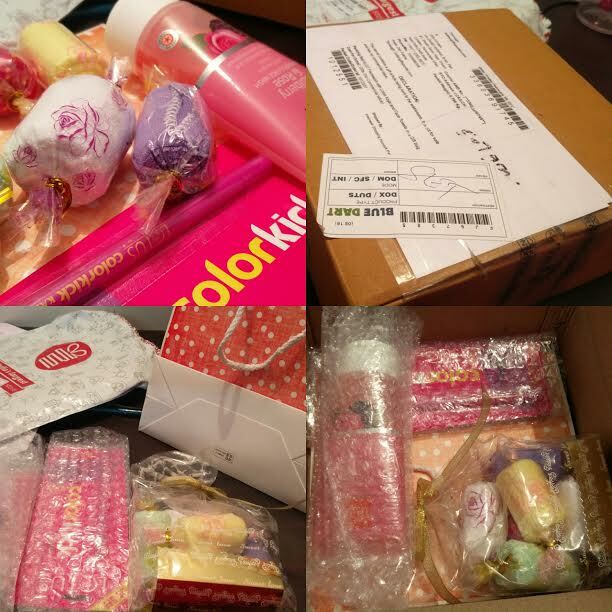 VLCC Facewash with Lotus Kajal and Face Towels in a Gift bag – a perfect gift for myself and the price was also reasonable. I am good at losing pen and this Maverick Personalized Ball Pen available for just Rs 195 was the best option for a person like me. I immediately placed both the orderes and the payement procedure was also hassle- free. I received my order in just 3 days which again made me happy as I was waiting for my gift desperately. The gift was neatly packed and bubble wrapped in a cardboard box. All the items were seperately packed and placed in one box. Check out the step by step process on how you can place your order at IGP. STEP 1: Select from their main services. STEP 2: Select your recipient type from the given options. STEP 3: Select your relationship type so that IGP can give you good options for gifting. STEP 4: Select an occassion and gift her/him accordingly. STEP 5: Select the best gift according to your budget. STEP 6: Select the delivery type option and then proceed to checkout. STEP 7: Pay securely through the payment method. Your details remain safe here. STEP 8: Your order gets confirmed immediatley. STEP 9: Now see the smile on the face when that person receives the gift! -They have same day delivery also in 300 cities in India. -They have a variety of options. -They have gifting options for all the occasions. -The provide shipping to 7000+ pincodes in India. -The price is on a little higher side. My overall experience was good and I would dfinitely recommend my readers to try out this wonderful gifting site. I can even send gifts to my friends and relatives staying abroad.